Hi everyone! After my review of the Smashbox Full Exposure Palette I really wanted to create a looking using some of the gorgeous shimmery colors. 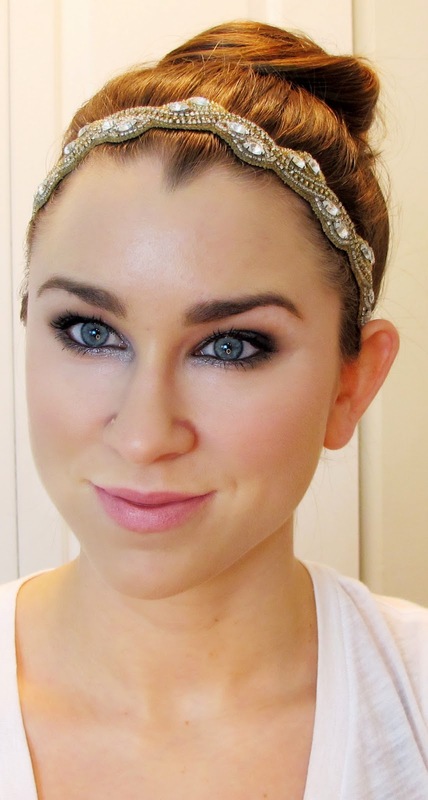 I came up with a blue smokey eye that I think would look absolutely GORGEOUS on brown eyes. I hope you like it! 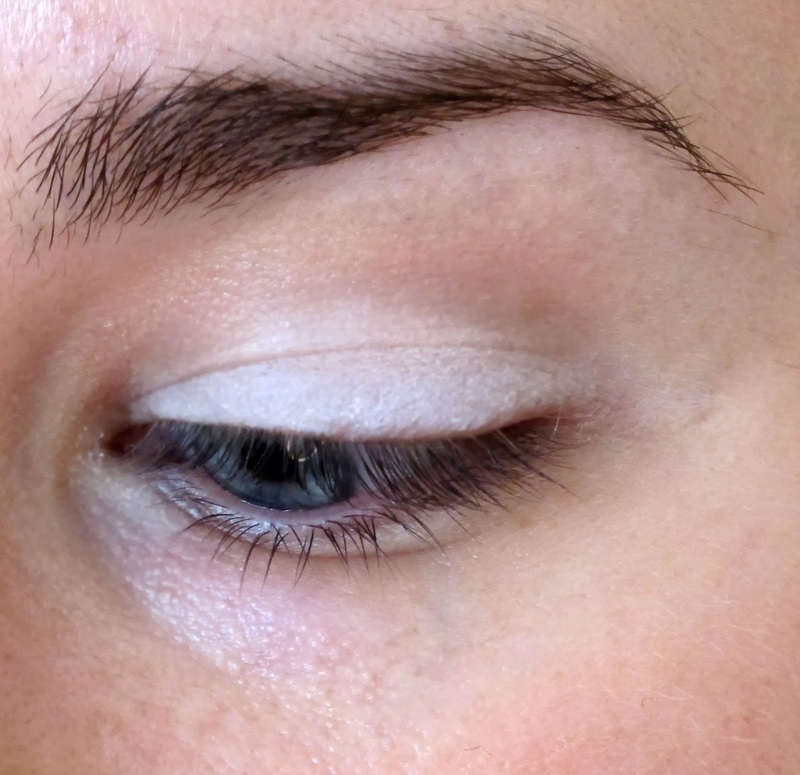 As I do a lot with different looks, I started off with a solid white base using NYX Jumbo Eye Pencil in Milk. 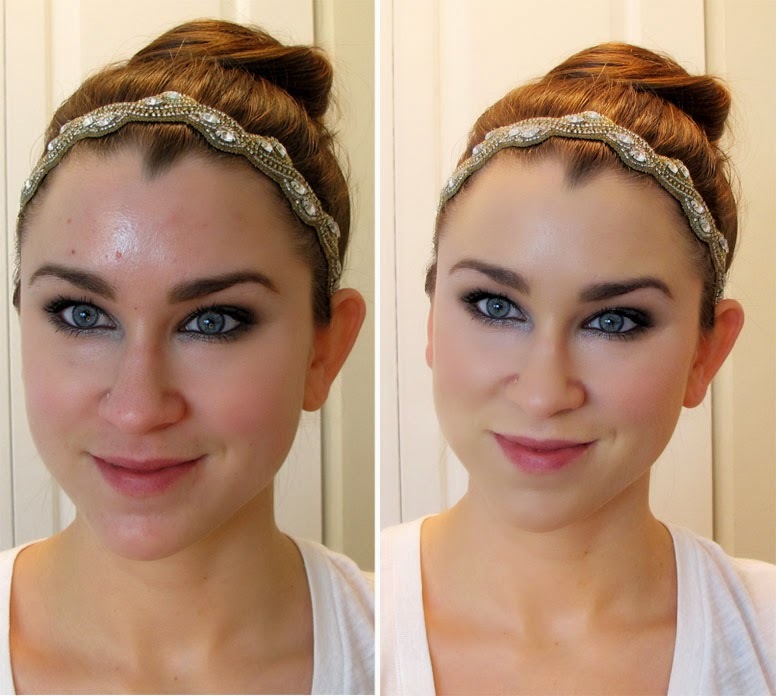 This is really helpful when your using shimmery shadows because it provides a stickier surface and helps with fallout. It also helps the colors to really pop. 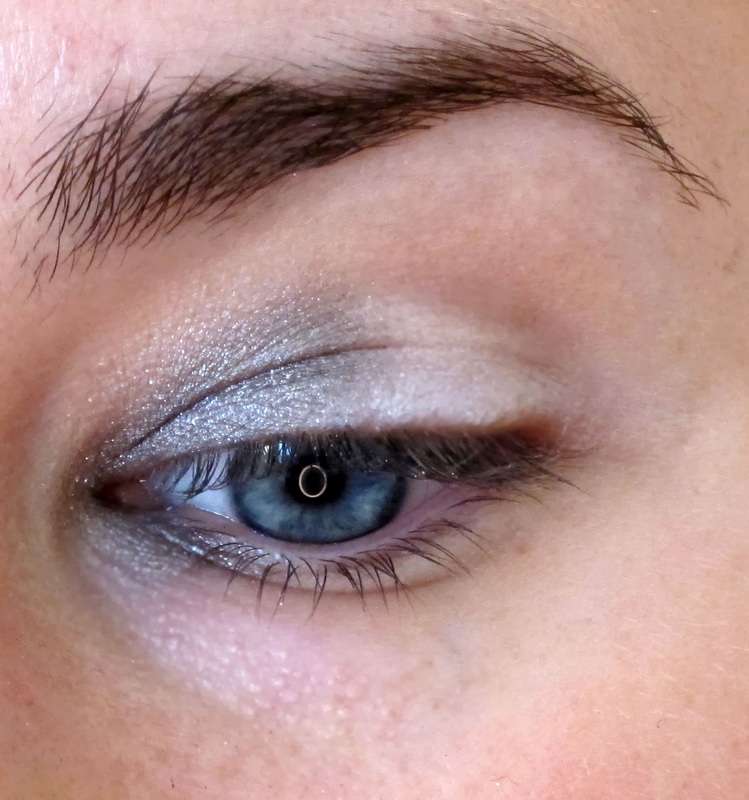 I used the grey shimmery color from the palette and placed it on the inner corner of the eye and in the tear duct area. 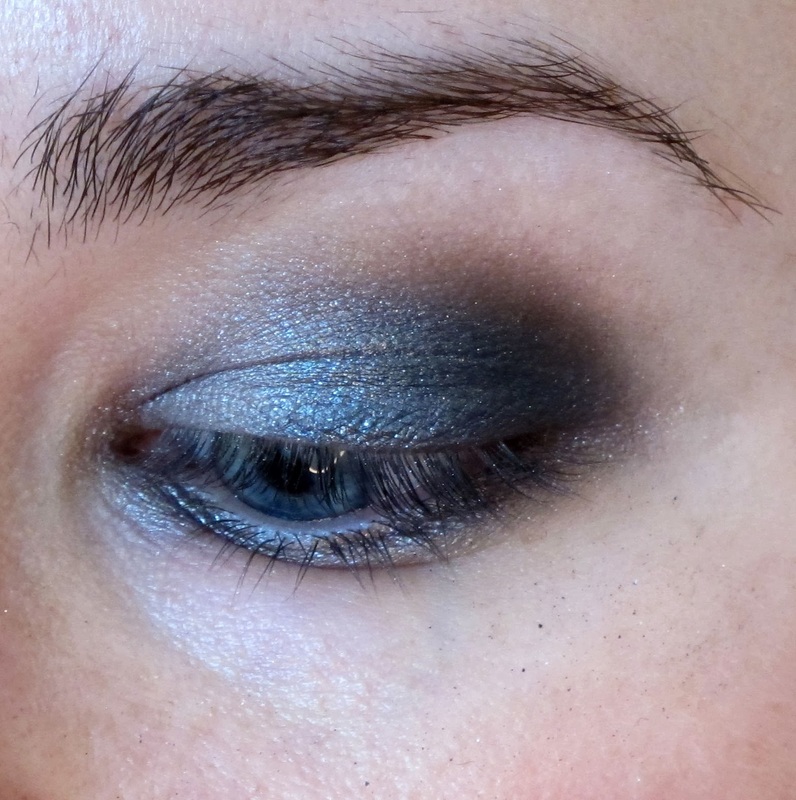 This is a little risky because it darkens the eye area as opposed to brightens it up, but I think it works for this super smokey look. 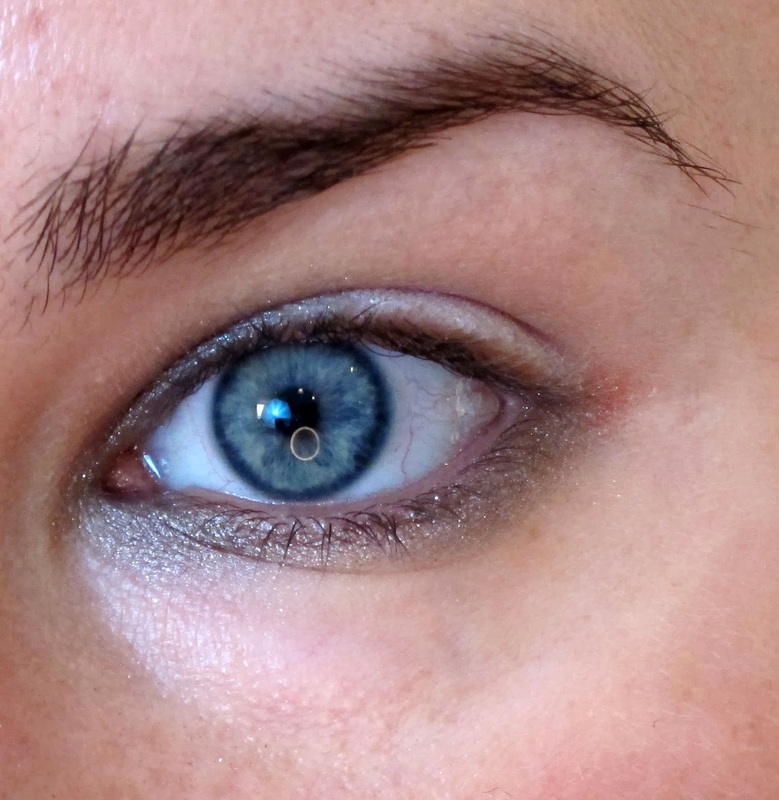 Next, take the same shade and a pencil brush and run it all along the lower lash line. I was excited to use this dark blue color. Place it all over the rest of the lid. Pack it in until you get a solid color. 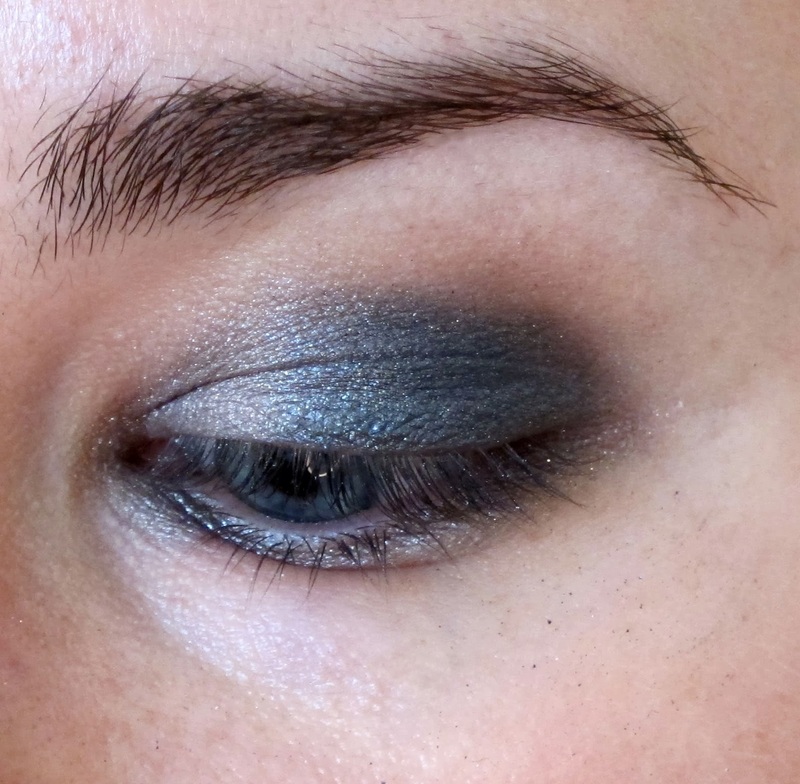 To really smoke it out, take the matte black shade from the palette and gently buff it into the outer corner. I really wanted to avoid a winged look since I do that so often, so I tried to make it more of a soft rounded shape. A look is just not complete without the liner! I used a dark blue liner on the waterline and black gel on the upper lash line. To keep with the rounded shape I did not do a wing (and it was quite difficult to resist! haha). Skin before and after shot. I have been loving my Beauty Blender lately so I used that to blend in my NARS Sheer Glow Foundation and NARS Radiant Creamy Concealer. I then added a natural blush shade (Maybelline Fit Me Blush in Light Pink). I HAD to add some light colors into my life. The winter is just dragging on and it's so drab. I used one of my favorite summer shades, NARS Matte Lip Pencil in Bolero. I look kind of possessed in this pic :-o! 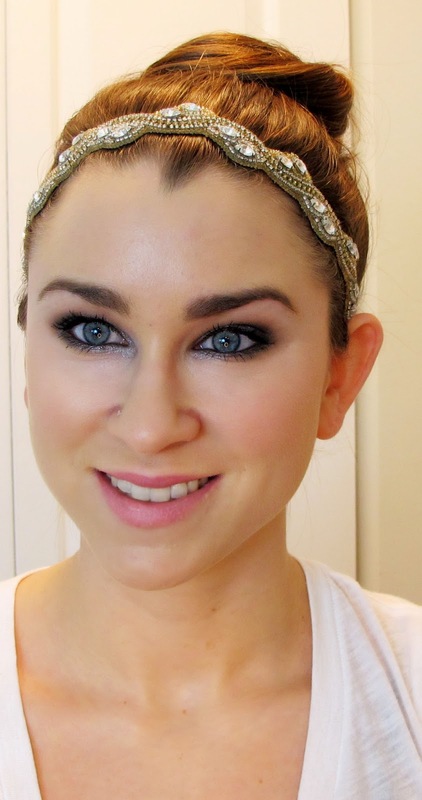 Greta job with the smokey eye, I agree it is a great look for brown eyes. Your make up is flawless, too.